Eye to Eye with Fly ! Great gallery with excellent images and wonderful animals!! Great macro gallery. Big Vote ! great gallery and very good work of macro ! Simply very fine work !! Outstanding work as always . Outstanding photos of the insect world! Each one is interesting and beautiful!V! You have many outstanding images in this gallery. Excellent work. Une collection de superbes photos. Your galleries are totally amazing! Your butterflies are gorgeous! Are they all taken in the wild? And, are most of them in Iran? Thanks. Fantastic gallery of insects !!! What an outstanding gallery Ali. Your photos are so rich in color and detail! Wow, you have a great collection here, all excellent shots. V.
I enjoyed viewing the artistic and skillful images of your gallery! Great gallery of insects!!! 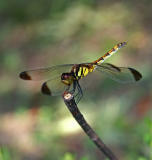 I just uploaded some dragonfly and butterfly-galleries on my own site,...I hope you will enjoy them aswell. Une galerie faite avec beaucoup de talent et qui nous fait découvrir un monde qui nous cotoyons mais que nous ne voyons par forcément. Great images and diversity in this gallery. Thanks for stopping by my portfolio. Hi Ali. This is such a great gallery. I really love the colors and the crispness of the photos. You have done a great job here. GMV! Excelent shots Ali, great job ! Wonderful gallery, nice composition and great color, well done!!! I was stunded by the beauty of your photgraph and more to the point I was so pleased to see somebody is keeping the spirt of our country alive. Well done and good luck. Terrific gallery, a joy to peruse. V.
A beautiful and colorful collection! GMV! Great gallery, isn't easy take this pics, especially butterflies, but you are a Master in this art! Beautiful gallery with a great variety. Nice precision. Superb amazing images. beautiful, shining indeed !!!!!!!!!!!! Really great gallery. I usually find myself going through your fantastic Iran galleries. Very beautiful insect captures. Fantastic !! wow, great job, vvvv !!!!! great photos your very good at this. Thanks for your comment on my swan gallery. Love the variety of butterflies and dragonflies you have captured. Beautiful work! Très belle galerie, les photos sont superbes !! beautiful insects - are these found in Iran? Fantastic! Wonderful pictures, I like your gallery. Thanks for sharing such a wonderfu gallery! Excellent photograpy , you have many lovely images in this gallery. Great gallery for getting up close to nature. Amazing insects gallery!. Well done and voted! Yes, I agree with your other viewers! I'm honored that you liked my galleries also. Thank you! amazing collection you have here. Great close up job, Ali. You do great things with a macro lens Ali! Voted. Très jolie galerie d'insectes et de papillons. Very nice gallery of insects, Ali. Beautiful butterflies. Wonderful collection of Macros, I wish I had more time to do more of these. Great macros. Very nice gallery. This is a very nice gallery with beautiful compositions and colors and a great diversity . A great collection of interesting insects! Colouful and well shot collection of insects! We share a common interest! I also like insects a lot! Great gallery! Congratulations, on a very fine job!!! Great insects gallery!. Good job!. You are very talented... All your pictures are outstanding! Stunning gallery Ali, Gmv ! Terrific images you've got there! You're doing an excellent job! ali, thanks for visiting my first effort at shooting butterflies. your gallery here is wonderful. Just a great work, with sensitive eyes. A beautiful gallery full of interesting varieties we don't have around here. You have some gorgeous shots. Great work! Nice work. You really have a knack for capturing insects. Thanks for commenting on my insect gallery. Great shots! I hope to get this good one day. Thanks for sharing. Diligent, beautiful hard work in this very good gallery. I enjoy this very much..
What a nice gallery! You've got some really gorgeous buterflies... I'm jealous! Great job! you have a wonderfull gallery. lost of colors. A collection of great great shots in this gallery ! Thanks for sharing such a wonderfu macro gallery! Very colorful gallery. Great job!